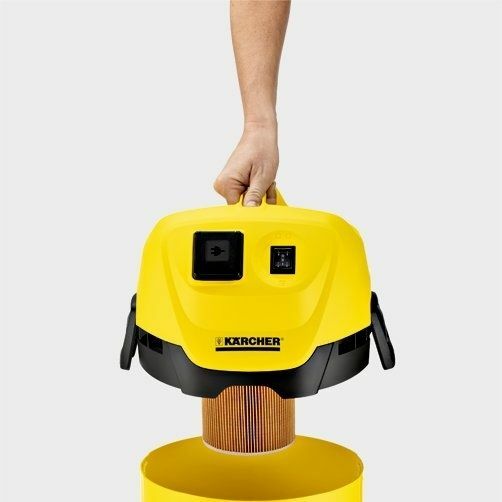 Karcher Multi-purpose vacuum cleaner WD 3 comes with specially designed cartridge filter to pick up everything from dry debris, dust, glass to liquids, without the inconvenience of changing the filter. The cleaner is very compact, easily transportable and has a handle that is designed ergonomically keeping your convenience in mind. 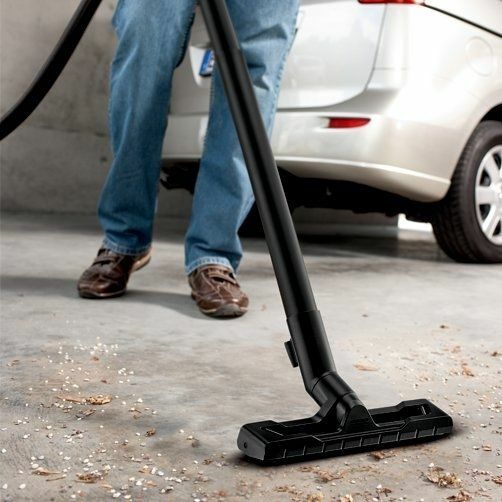 The powerful suction of the vacuum cleaner clears all kind of dirt and grime. 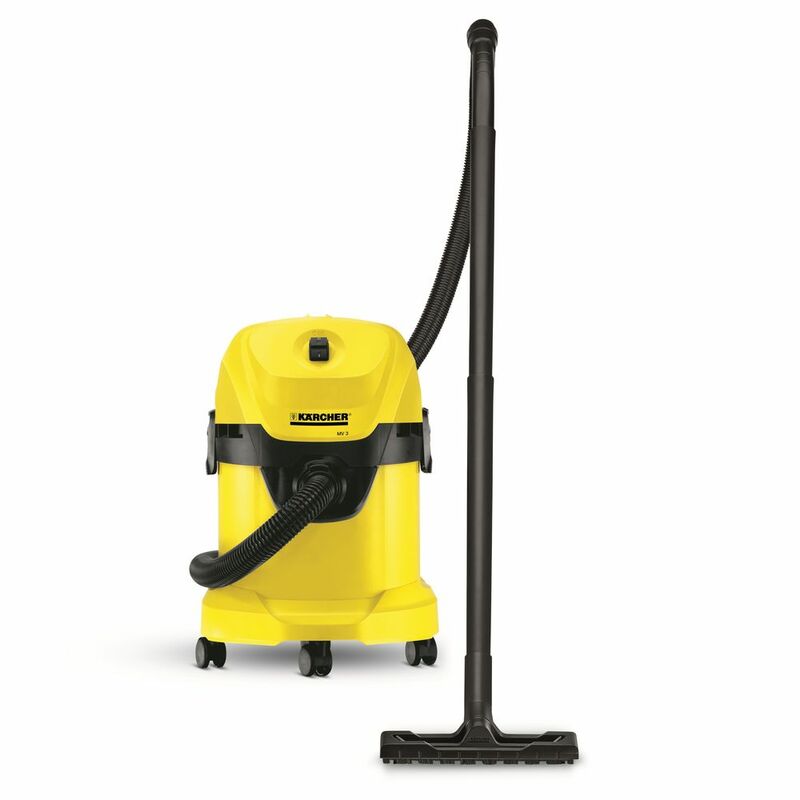 It also has a blower function, which allows you to clean corner and other harder to reach areas. The multi-purpose vacuum cleaner WD 3 has a 17-litre container and power-tool socket with an automatic on/off switch. The WD 3 multi purpose vacuum cleaner has special catridge filter for wet and dry suction without changing the filter. 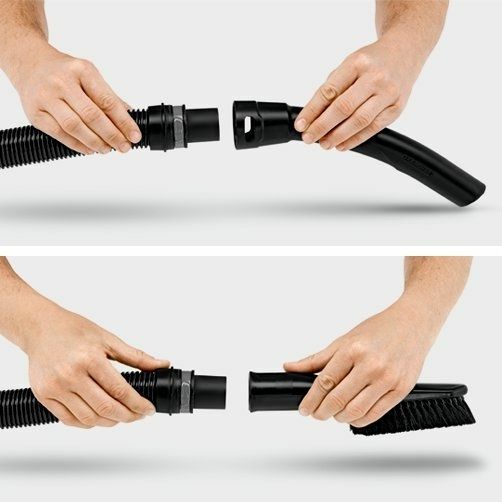 There are newly developed floor nozzle and suction hose euipped in the cleaner, that offers perfect cleaning results, with dry or wet, fine or coarse dirt with maximum convenience and flexibility. The removable handle offers the convenience of attaching different nozzles directly on the suction hose. This results in easy vacuuming even in the tightest of spaces. Great Machine, wish the company could have given more attachments. Blower function is an added advantage. For the Price range this product fall in you can not ask anything better than this. Its and amazing product. Only one drawback that I see with this is that there is no automatic wire puller, you have to always do it manually,other than that you can compare it with Eureka Forbes which will be costing around 12-14K. In all the aspects Karcher is way ahead of it's competitor Eureka Forbes. Read and heard a lot about it, using now. Fully satisfied with it"s performance. Blower and Vacuum both are much more powerful than the eureka's, that too at almost half the price!! Thanks to Karcher and Infibeam!! Very good product.great suction power and easy to move it around. A must buy for working women, housewives & bachelors... It has lessened a lot of my morning routine work burden. Amazing and very useful product in this price range. Very affordable! Good Machine but as per model MV3 Premium Attachment is less.